COMBO KIT SALE! 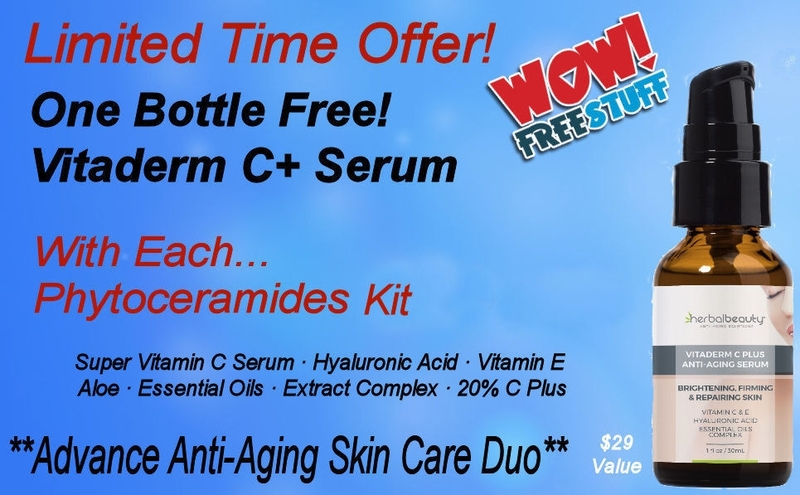 Plus Free Super Vitamin C Serum! Attack Aging Skin From Inside & Out! 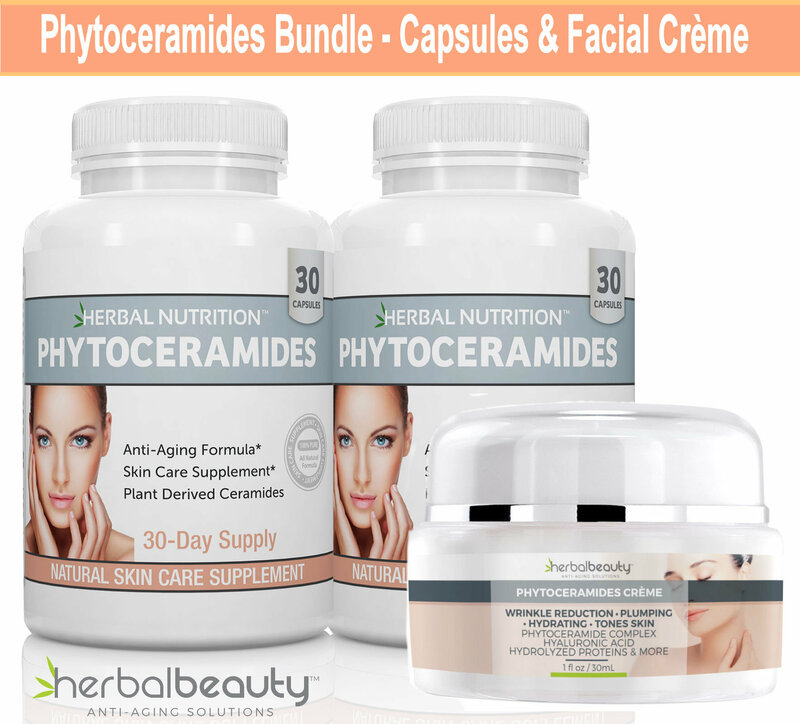 PHYTOCERAMIDES KIT | Two Bottles - Rice Based Capsules | Plus One Jar - Crème | Anti-Aging Remedy For Skin, Hair Nails | Free Shipping! Dr. Oz's Face Lift In A Bottle! It Really Works, Read Our Reviews Below & On Amazon... Save 10% On Our Amazon Price! 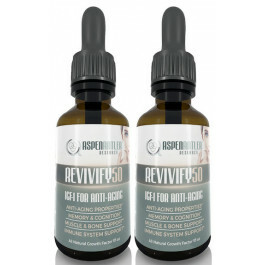 Phytoceramides Kit - Rejuvenate Your Skin! A Face Lift In A Bottle! 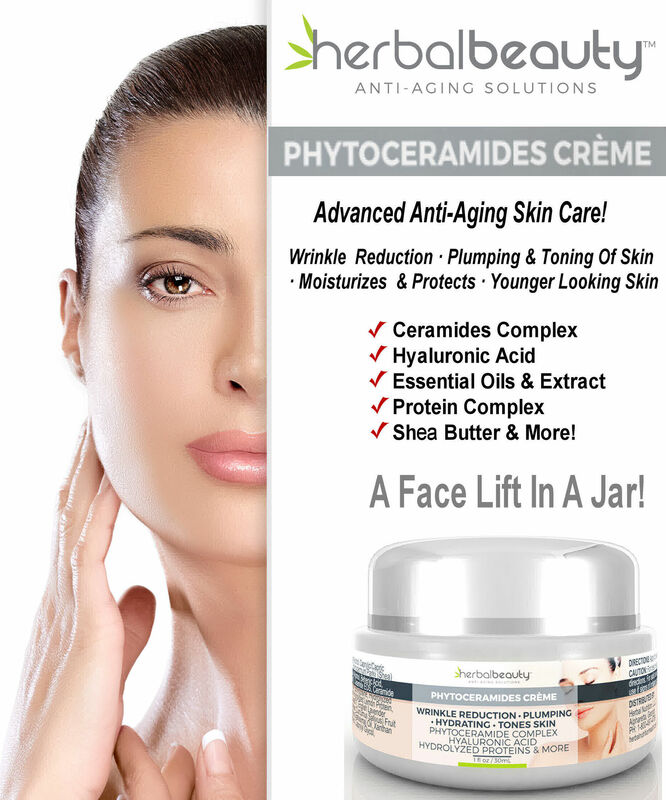 A NATURAL FACELIFT WITHOUT SURGERY - Dr. Oz said it and our Phytoceramides Bundle puts Phytoceramides, and science’s most age defying ingredients, to work revitalizing your skin from the inside and out! Double your benefit, see quicker results by using both capsules and crème. 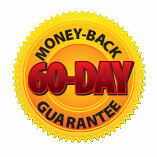 You have nothing to lose except the wrinkles because we provide a 90-day money back guarantee! OUR CAPSULES - Work from the inside out, hydrating skin and boosting collagen making it thicker. This adds fullness and thickness to the skin, defying natural aging, chasing away wrinkles and flaky dry skin. Our Phytoceramides capsules are RICE BASED & GLUTEN FREE, FORTIFIED WITH VITAMINS A, C, D and E. Clinically proven to be better than wheat based products. OUR CRÈME - Is a high performance, advanced moisturizer that will dramatically reduce the signs of aging. 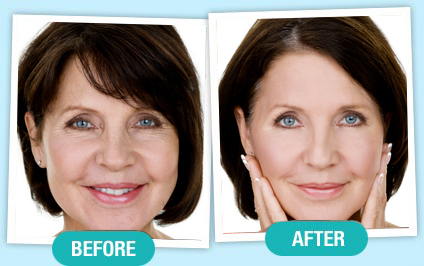 Plumping, firming, moisturizing and reducing fine lines & wrinkles. It’s SCIENCE FOR ANTI-AGING - with a unique and progressive blend of science's most promising age-defying ingredients, our Crème is a breakthrough in cosmetic health. Natural Ceramides, Shea Butter, a complex of proteins, essential oils and extracts are absorbed quickly by your skin and help firm and smooth the surface. 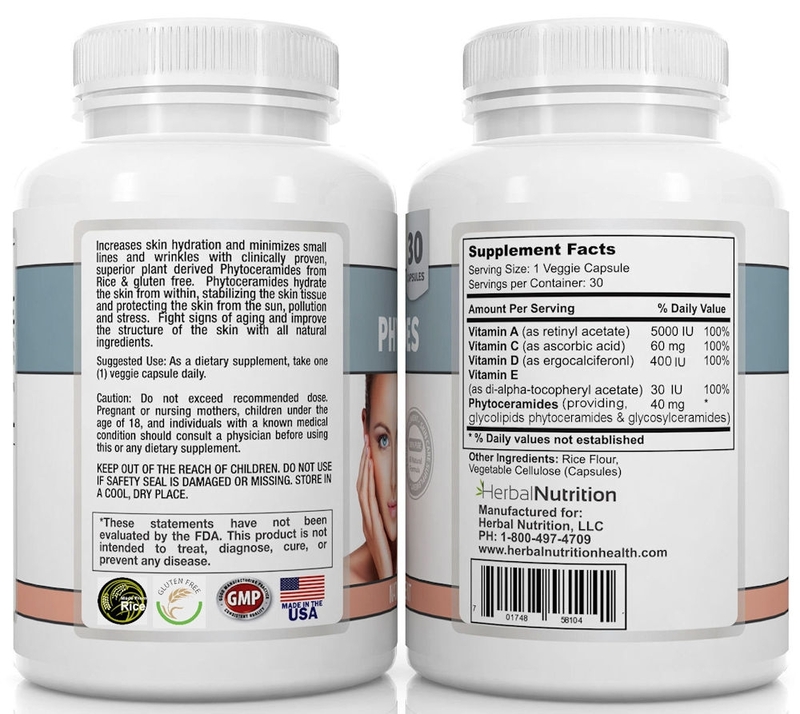 HIGHEST QUALITY & MADE IN USA - Herbal Nutrition Phytoceramides capsules & crème are MADE IN THE USA by an FDA certified GMP manufacture using 100% NATURAL INGREDIENTS. 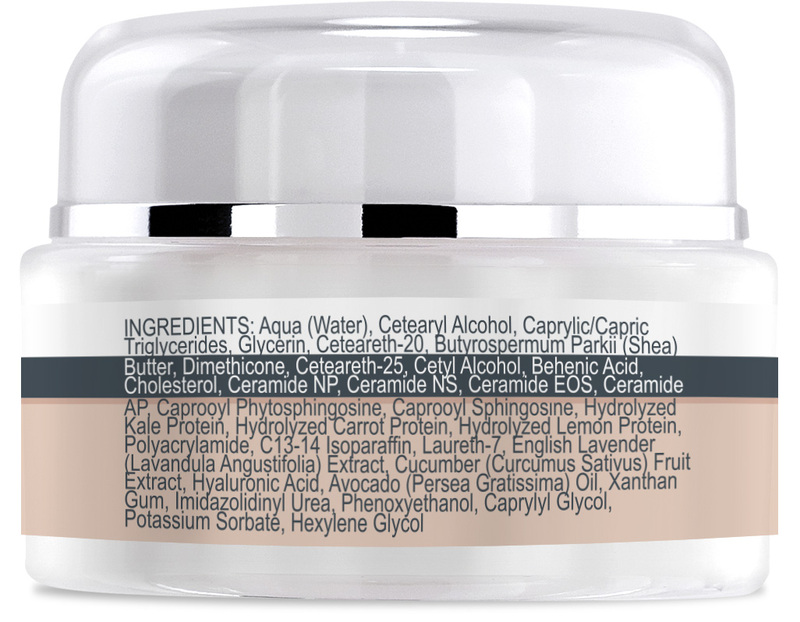 Quite simply, there’s no better anti-aging products than our Phytoceramides Capsules & Crème! YOU CAN TRUST THE HERBAL NUTRITION BRANDS! - Our goal is to help people improve the quality of their lives, by providing supplements that will benefit their health and athletic performance. We developed the Herbal Nutrition & Herbal Beauty Brands to deliver only the highest quality products and have helped thousands of people achieve their goals for more than a decade. Our Quality is 100% Guaranteed! The reason we get wrinkles to begin with is that over time we lose the ability to create ceramides, and the lack of moisture causes our skin to prune and wrinkle. This is a natural part of growing older, yet more and more, we are seeing signs of wrinkles and aging prematurely. This is because of the way our diets have changed, the level of stress that is part of everyday life now and exposure to environmental conditions, such as pollution and UV rays. To combat these early aging effects, natural supplementation is the safest and a more cost effective solution for aging skin. You’d be forgiven for not knowing too much about these capsules, as they’ve only recently been cleared by the FDA. Ceramides have been used extensively for many years and can come from animal sources or are extracted from sweet potato, wheat or rice. 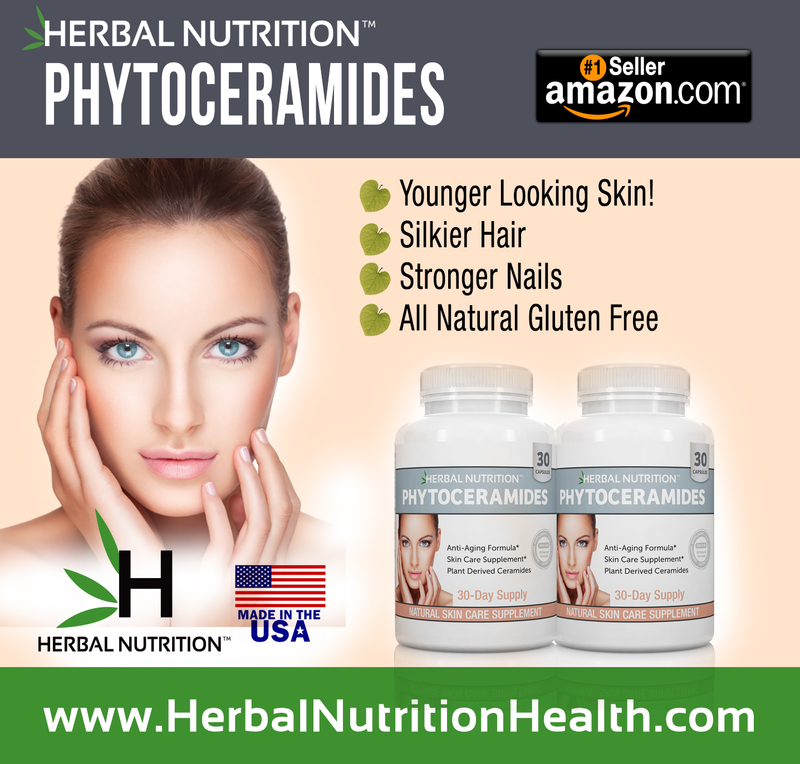 Herbal Nutrition Phytoceramides are rice based, which we believe is the best and most effective formula. Studies have shown at 40mgs they are more effective than the 350mgs of wheat based Phytoceramides and are also gluten free. 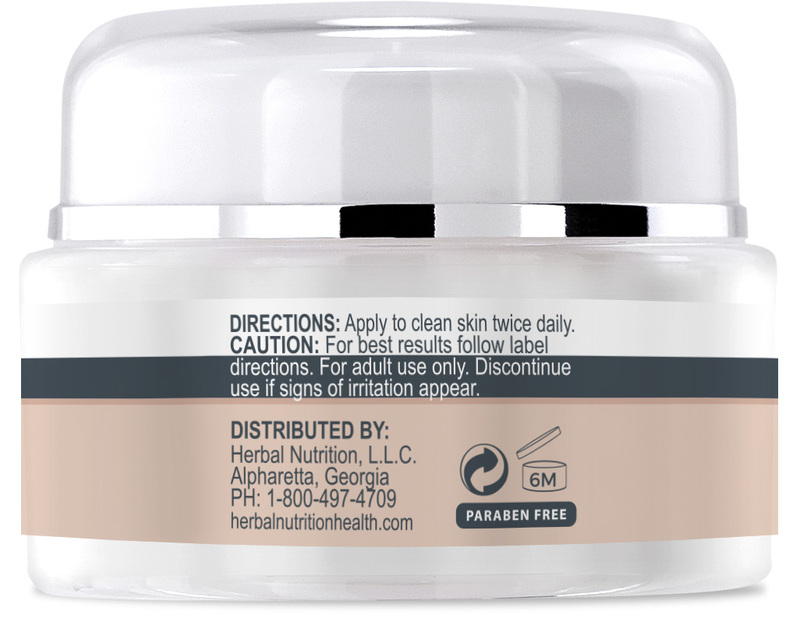 Additionally, we add other skin health promoting vitamins to maximize our formula. Ceramides are components that penetrate each of the four levels of our skin, from the epidermis or top layer, right down to the basal layer. They have been used for decades in skin care and hair products as they are known for their abilities to lock in moisture and keep our skin looking younger, healthier and plumper. By locking in moisture, wrinkles are less pronounced and the skin looks rejuvenated, thus we look younger! Our rice based Phytoceramide capsules target skin care and lock in water from the inside out, plus the added advantage of not consuming animal products or gluten. 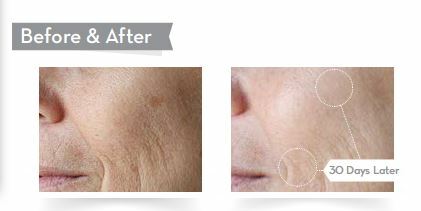 We believe the Phytoceramides breakthrough is so effective that it has to be the best option for a non-surgical facelift! Just as heard on the Dr. Oz program. 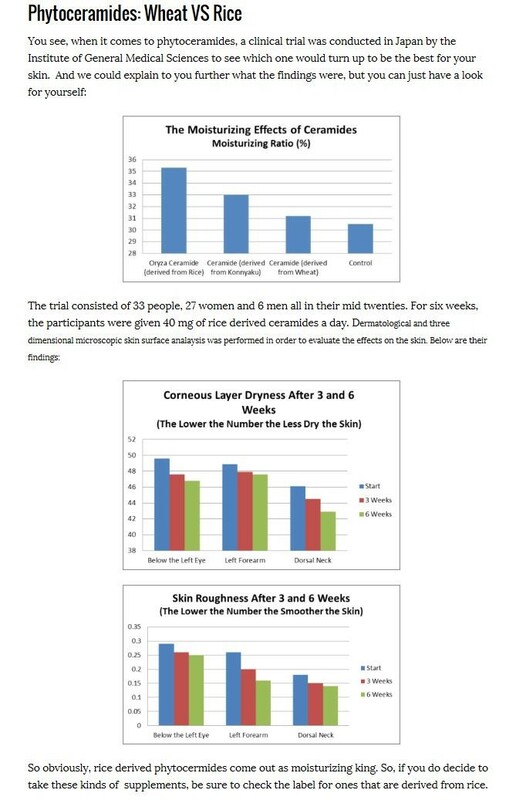 There are many products that make wild claims to achieve some of the above, yet Phytoceramides have been approved by the FDA and are promoted for use by many surgeons and skin care specialists who have found the results to be effective. Please follow the dosage instructions on the bottle for best results. Taking the supplement consistently each day, you should start to see results in 4 – 8 weeks. Most of our customers benefit greatly from Phytoceramides, but herbal supplements, like prescription drugs, have varying levels of efficacy from one individual to another. If you are not seeing the results you want after 8 weeks, contact us to discuss alternatives and remember, we guarantee your satisfaction. While it is said that clinical trials have reported no known side effects when taking Phytoceramides, there are certain recommendations that need to be noted. Pregnant women and those with health issues should check with their healthcare professional before taking any herbal supplements. Works well and what I was looking for. Will order again. See The Reviews For Each Product On The Individual Product Page.